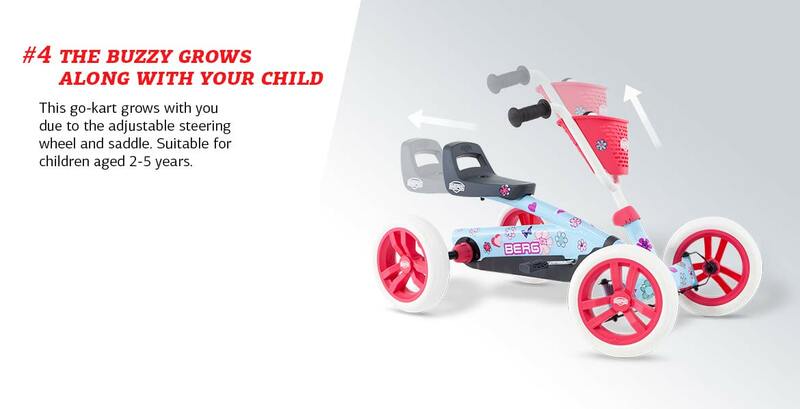 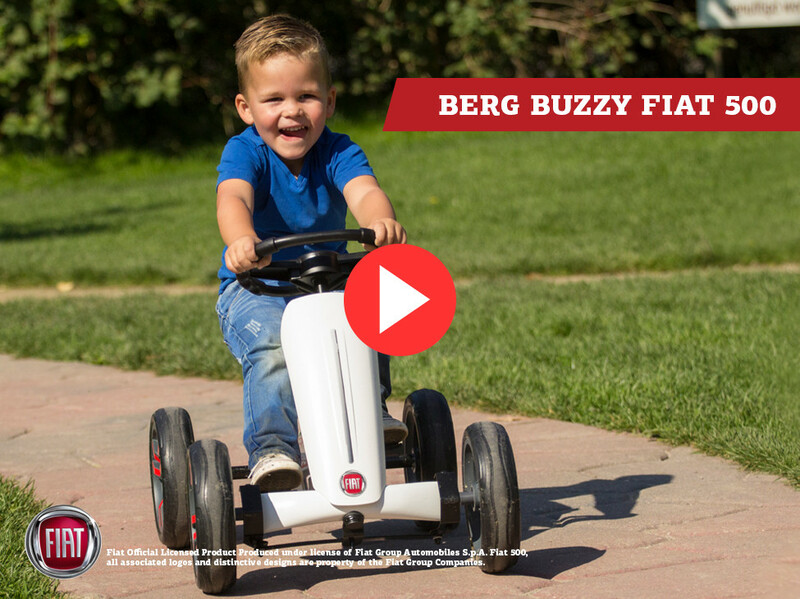 For toddlers, the BERG Buzzy is now available under licence from the Fiat 500! 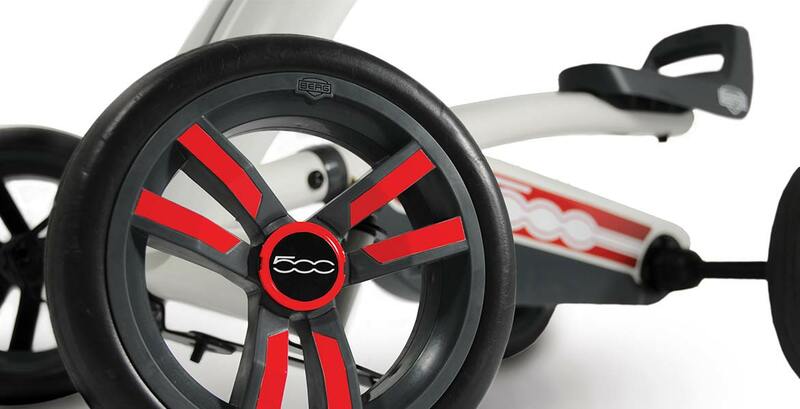 See how they effortlessly learn to pedal on this amazing go-kart. 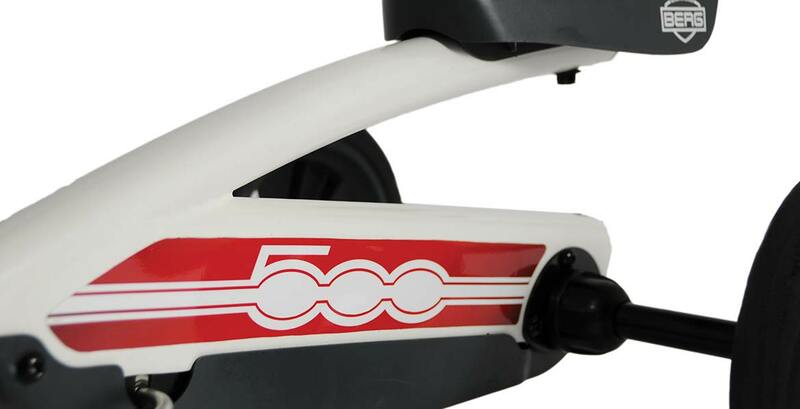 The remarkable Fiat 500 version really is extra special. 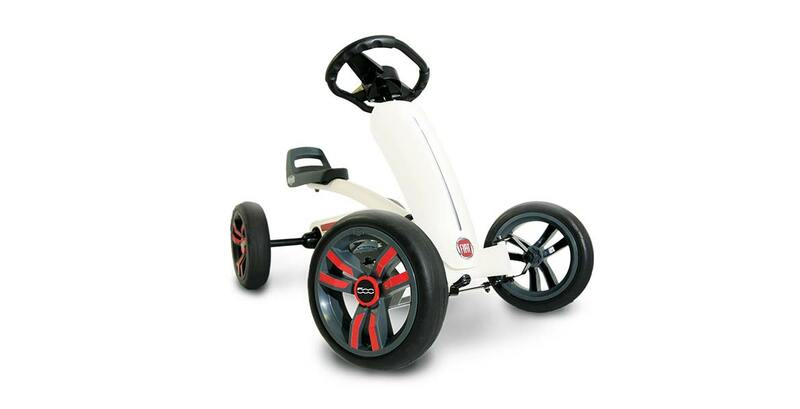 A go-kart to be seen in! 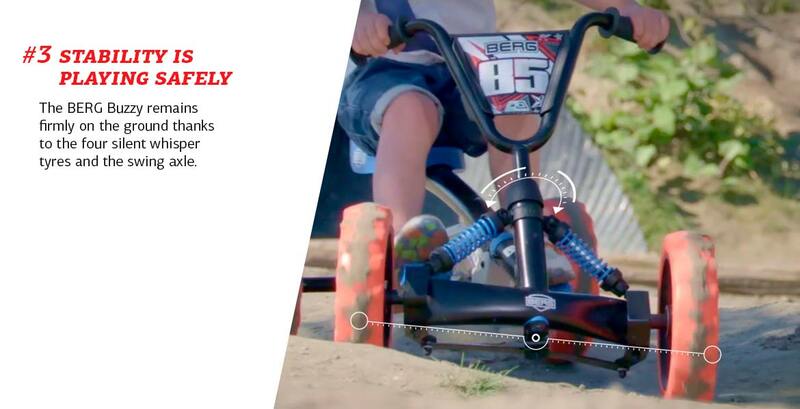 • Every child learns to pedal super easily due to the direct transmission and unique ergonomics. 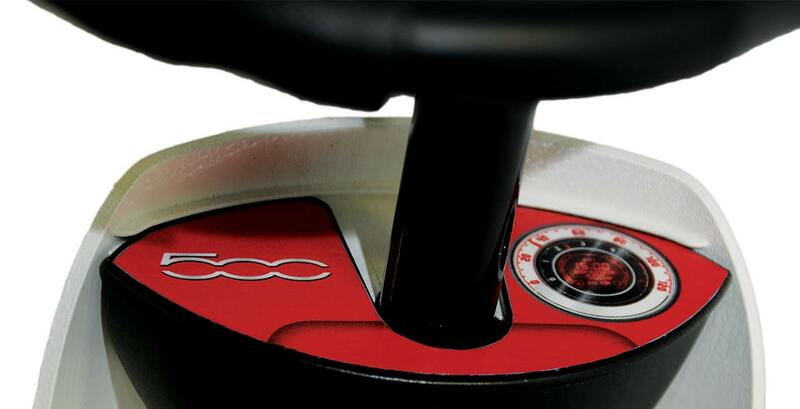 • Always control over the steering wheel and the pedals because they can be operated independently. 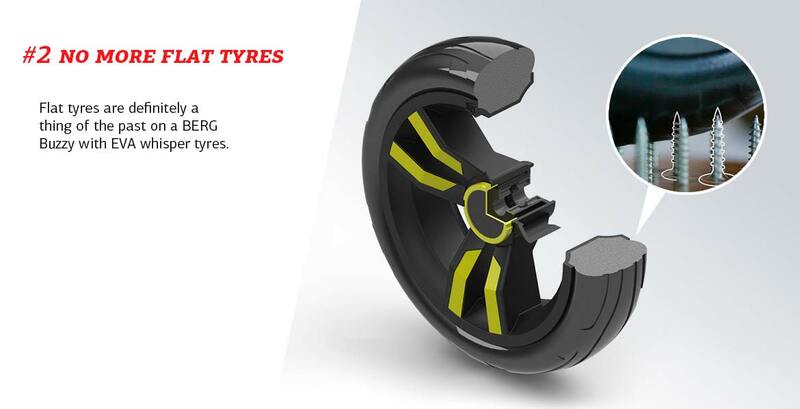 • Silent EVA whisper tyres that will never go flat. 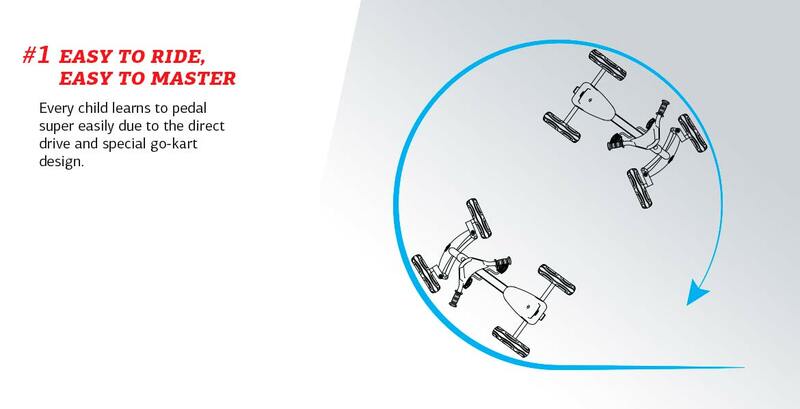 • The four wheels and swing axle keep you grounded firmly and safely. 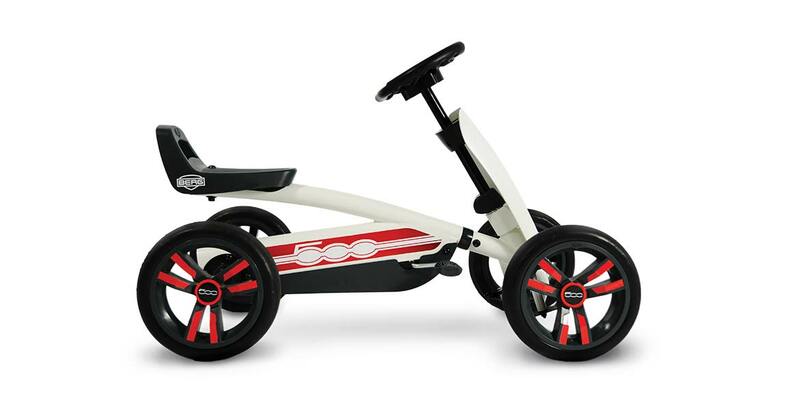 • Super light pedalling due to ball bearings and unique ergonomics. 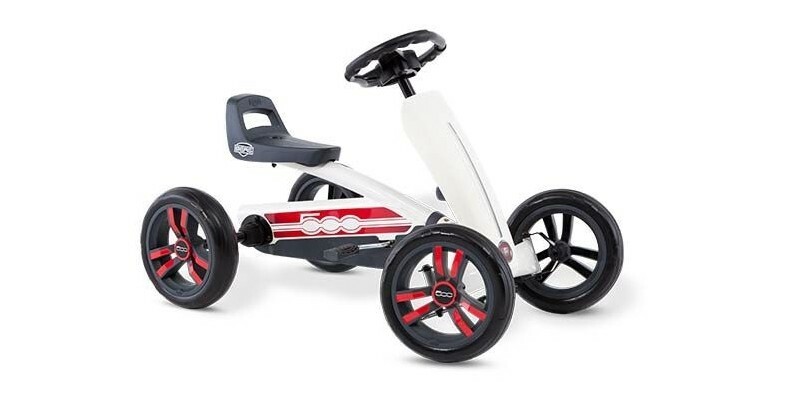 • Can be driven forwards and backwards.